Simoni hails from Memphis, TN with roots in Burundi, Africa. He grew up with a love for cooking but started taking his passion seriously when he worked for a restaurant in Fayetteville, AR during college. 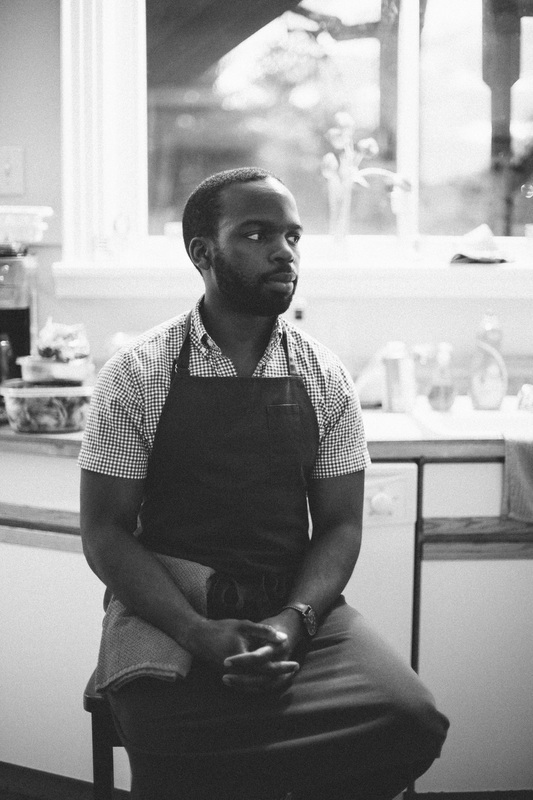 With stops at popular neighborhood haunts such as Burger UP and Josephine,he now cooks full-time as a private chef. He helps clients achieve memorable and unique dining experiences from the comfort of their home. ​Simoni lives, breathes, & evangelizes the art of food + community. He often says “all food tells a story.” Whether it’s where the ingredients come from, the creative vision for the meal, or the memories created around the table, he believes well-prepared food fosters narrative. The table has been a long-time historical symbol of shared experience and community. When he prepares a meal, he sees it as an opportunity to cultivate this notion. His hope is when guests leave their seats, they’ve laughed loudly, relished new flavors, created a shared memory, and been inspired to gather around their own tables more often. Common Table is a bi-monthly dinner club that I helped create in 2012 with some incredible friends. It's grown into something quite special since that time. To find out more about common table click the logo above.